This morning, our Web server went down for no real reason. This morning, my my wife's hard drive died for no real reason. 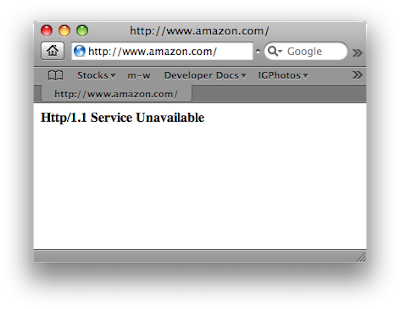 This morning, Amazon.com's Web site went down for several hours for no real reason. At least the markets had a reason to go down, today.